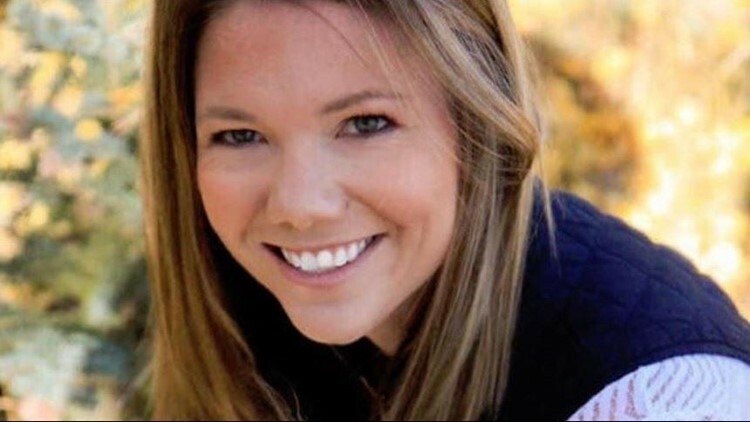 Kelsey Berreth has been missing since Thanksgiving and her disappearance has since generated national attention. The 29-year-old mom went missing Nov. 22. Her fiancé has since been arrested for murder and solicitation for murder. Here's what we know and our prior coverage. The fiancé of 29-year-old mother Kelsey Berreth, who was last seen in Woodland Park on Thanksgiving, has been formally charged with first-degree murder in relation to her disappearance. Patrick Frazee was arrested Friday, Dec. 22, nearly one month after Berreth was last seen on surveillance footage at a Safeway. That was Nov. 22, Thanksgiving Day. The man accused in the disappearance and presumed death of his fiancée briefly appeared in Teller County court Friday morning. Both the defense and prosecution agreed to postpone the arraignment hearing for Patrick Frazee until May 24 due to ongoing forensic testing. Prosecutors released the dozens of search warrants that were executed in the days and weeks following the Nov. 22 disappearance of Woodland Park mother Kelsey Berreth, who is now presumed dead. Investigators arrived at a landfill south of Colorado Springs Tuesday morning to start their search for the remains of Berreth. Woodland Park Police detectives and other law enforcement officials announce they will start searching a landfill in Fountain next week for the remains of Berreth. Cell phone records and security camera footage paint a timeline of when investigators believe Frazee beat his fiance to death with a baseball bat, according to an arrest affidavit from the Woodland Park Police Department. A CBI agent testified in court that Idaho nurse Krystal Kenney Lee told him that she helped Frazee clean up a “horrific” crime scene after she said he murdered Berreth. CBI Agent Gregg Slater, who testified during Frazee's preliminary hearing in Teller County court, recounted details that investigators say confirm Berreth was murdered. In addition to first-degree murder and solicitation to commit first-degree murder, prosecutors added counts for tampering with a deceased human body and crime of violence, which is a sentence enhancer. The judge ruled there is enough evidence for Frazee to stand trial for the charges against him. He is slated to be arraigned April 8. Kelsey Berreth's parents say they believe her fiancé Patrick Frazee killed her because he wanted full custody of their 1-year-old daughter. That's according to an amended wrongful death lawsuit the 29-year-old's family filed against Frazee on Friday. In the lawsuit, it's alleged that Frazee and Berreth actually broke up on Thanksgiving Day and that Berreth agreed to share their young daughter 50/50, which he did not want. Krystal Kenney, 32, appeared in Teller County Court, where she pleaded guilty to a felony for tampering with physical evidence. She also read a statement where she said she learned Frazee "committed a homicide on approximately Nov. 22, 2018 in Teller County." A Teller County Court judge ruled that Frazee's and Berreth's 1-year-old child will remain in the custody of her maternal grandparents. Krystal Kenney, 32, faces one count of tampering with physical evidence, a class 6 felony, according to a complaint filed in Teller County Court. Her appearance is scheduled for Friday, Feb. 8. The lawsuit was filed on behalf of Darrell and Cheryl-Lee Berreth in U.S. District Court for the District of Colorado. It seeks unspecified damages against Frazee. Jennifer Viehman, the district attorney assigned to the case, said she would allow Frazee's attorney to review the arrest warrant affidavit, but asked that he not share it or discuss it with Frazee. In the hearing, it was determined that Frazee could now access the arrest affidavit in the case against him. Details about the woman and how she is connected to the Berreth case are limited at this time, but it has been confirmed to NBC that she is a 32-year old nurse from Twin Falls, Idaho. That's about 35 miles from Gooding, Idaho, where investigators previously said Berreth's phone pinged on Nov. 25. The courts rule that the daughter of Berreth and Frazee will continue to remain in the custody of the maternal grandparents and child protective services. This was the second hearing on the matter. Frazee appeared in Teller County court on Monday, Dec. 31, where he was formally charged with two counts of first-degree murder and three counts of solicitation to commit first-degree murder. Teller County court ruled that Kelsey Berreth's parents will retain physical custody of the child and that the Teller County Department of Human Services will retain legal custody. Frazee's mother has since filed a motion to intervene in the decision. Dec. 24: Court documents detailing elements of the legal proceedings against Frazee released. The documents included a request from Frazee’s public defenders asking that investigators turn over emails and text messages they’ve recovered. Dec. 22: Twin Falls, Idaho police announce they assisted the FBI and the Colorado Bureau of Investigation with the case. Police in Idaho worked with the FBI and CBI to serve several search warrants and process evidence as part of the ongoing investigation into the missing Colorado mom. Patrick Frazee was taken into custody just after 7 a.m. Friday and is expected to face charges of first-degree murder and solicitation for first-degree murder. Police officers and agents with the Colorado Bureau of Investigation were seen going in and out of Frazee's home Thursday night. Investigators said Berreth remains missing after detectives executed a search warrant at her fiancé's 35-acre property over the weekend. Woodland Park Police announce a $25,000 reward for information leading to Berreth's safe return. Law enforcement agencies first appeared at Frazee's 35-acre Florissant property to execute a search. Through his attorney, Frazee said he voluntarily released his phone to law enforcement for a search and provided buccal swabs and photographs. Cheryl Berreth, the mother of Kelsey Berreth, told NBC News that it's not like her daughter to go missing, and that Kelsey Berreth and Patrick Frazee we "loving," and that the relationship hasn't been ideal given the economy ... but that "they've made things work regardless." Kelsey Berreth's mom, Cheryl Berreth, spoke at a news conference on Monday, Nov. 10, where she pleaded for the safe return of her daughter. Kelsey Berreth's phone pinged in Gooding, a small southern Idaho community. Police said the ping happened sometime on Nov. 25. Kelsey Berreth's mom first reported her daughter missing on Dec. 2. Investigators said she was last seen in surveillance footage at a Safeway with her daughter on Nov. 22, Thanksgiving Day.